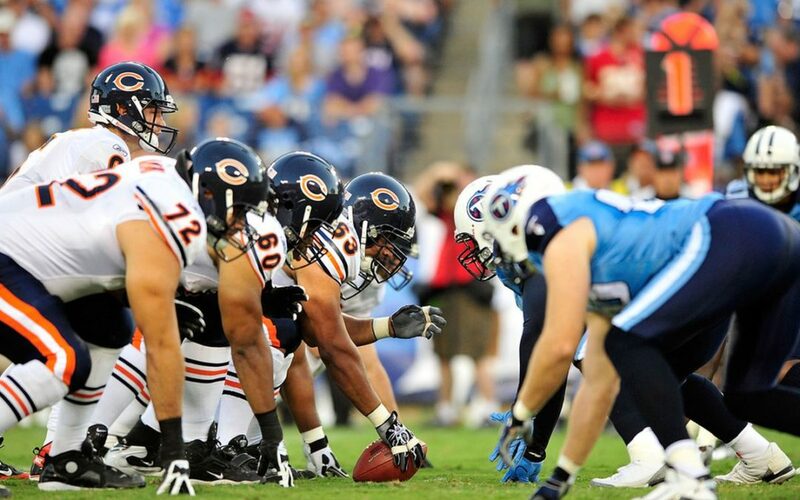 The Chicago Bears make no qualms about the kind of team they are. A team that runs the ball on 26 of it’s available 30 first-down plays last week doesn’t have to pretend. A team that is top five in the NFL in both rush attempts and rush yardage even though they have only won two games, neither of them blowouts which would have allowed for garbage time, run-out-the-clock yardage and attempts, doesn’t have to pretend. Like any John Fox team, they like to run. And to run the ball effectively, especially when the opponent knows that they are going to, they need strength and discipline on their offensive line, and the experienced group should cause trouble for a Panthers front seven that allowed 4.8 yards per carry to Legarrette Blount in their loss to Philadelphia on Thursday night. While they are a consistent group, especially on the interior, they do have some weaknesses that the Panthers may be able to exploit. And as if the Panthers were looking in the mirror, the questions are on the outside. Right tackle Bobby Massie has established himself as a mauler who is able to excel in run blocking and pulling across the line to create and maintain lanes for running backs, but he tends to have trouble moving his feet as a pass blocker with faster defensive ends. He will be matched up with Mario Addison, who has not been on the injury report at all this week after battling a lingering knee injury off-and-on throughout the season; a healthy Addison may be able to get past Massie and put some pressure on rookie quarterback Mitch Trubisky, who can get “happy feet” when he feels pressure. If Addison can push Trubisky towards his interior lineman, the Panthers will be able to be successful with their pass rush; Trubisky has a penchant for throwing on the run, so like Matthew Stafford and Carson Wentz the past two weeks, if the Panthers chase Trubisky from the pocket, they’ll need to finish the job and not let Trubisky roam outside the pocket freely. 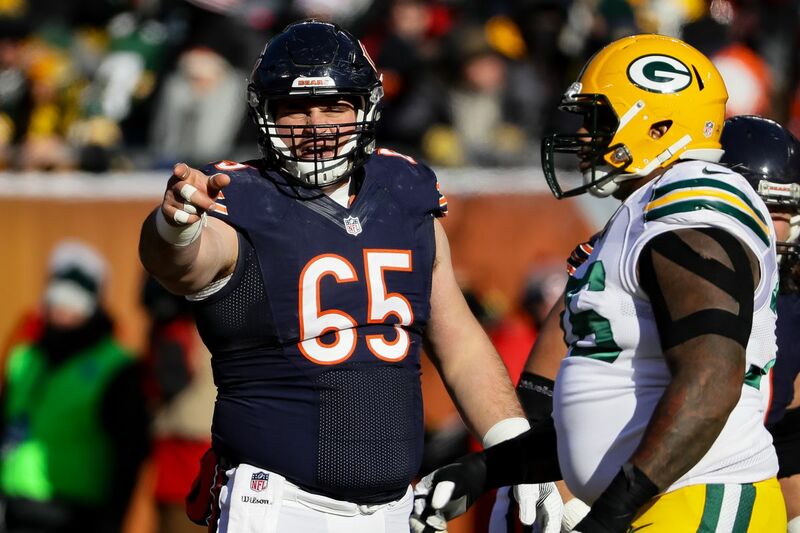 Next to Massie will be Kyle Long, who has returned after missing 8 games in 2016 due to ankle surgery to work his way back into game shape slowly, he still seems to be having communication issues with the rest of the line; Long is extremely talented along with the rest of his interior linemen. Long, along with center Cody Whitehair and Josh Sitton are physical and violent at the point of attack and can move their weight freely if they get to the second level. Now that Long has returned, the Bears interior line is amongst the best in the league even if Whitehair still has a tendency to tilt towards young and inconsistent. Whitehair had some issues with his rookie quarterback last weekend, sending two consecutive shotgun snaps awry and getting beat occasionally by the Ravens’ interior lineman. Whitehair, Long, and Sitton will be tested all day by the rotation of Kawann Short, Star Lotulelei, Kyle Love, and Vernon Butler. While Lotulelei did not have an effective game against Jason Kelce and the Eagles, if he can rebound this week and occupy space in the middle of the line, it will make things a lot harder for the Bears to produce yardage in the run game and stay on schedule. Charles Leno is the opposite of Bobby Massie on the other side of the line, in that he is an excellent pass blocker but struggles in the run game. The seventh-round pick is athletic and has the tools to succeed, but sometimes can struggle to move to the second level. He will be put on an island against Julius Peppers, which is a tough task for any tackle; if Peppers can win the battle and seal the edge, forcing running backs to the inside, the Panthers should be able to contain the Bears’ ground-and-pound game.